Back pain is a common problem for patients of all ages. Lower back pain is often caused by muscle strains. The erector spinae (large muscles in the lower back) help keep the spine erect. These muscles can become inflamed and then spasm. In more serious cases, the pain can even be caused by a degenerative condition such as disc disease, disc herniation or arthritis. 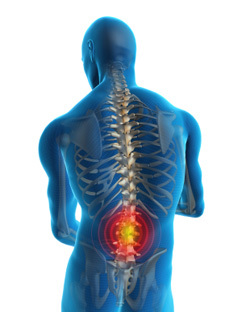 A degenerative disc condition can cause a chain of events in the spine. When a disc isn’t in place or is malformed from a condition or disease, it can allow extra pressure on neighboring nerves, muscles, discs, joints, ligaments or tendons. When this happens, anti-inflammatory medication, rest, ice and heat are all recommended for mild back pain. This allows your muscle the proper time to return to their normal position and begin to heal properly. The thoracic spine is the sturdiest part of the spine, making it less prone to injury. This is found in the upper back area. This makes it less common to have pain here. When patients do, it is often caused by joint problems or irritation in the muscles. Other less common causes are degenerative discs and herniated discs. Rest for a sore or painful back should be kept to no more than two weeks. Otherwise the muscles themselves weakened leading to increased risk of injury and more pain. Back pain doesn’t have to be a norm. In fact, with immediate care, your chance for future back pain diminishes greatly. 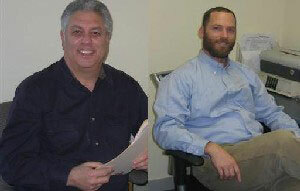 Dr. Ken George and Dr. Nicholas Rost are both experienced in treating patients with a variety of back pain injuries. Treating this pain when it first occurs helps prevent future injuries from occurring. For any questions regarding back pain or to schedule an appointment at our Stratham, NH office, call (603) 772-6400 today.